Client created the website not long time ago. The main aim was to attract more targeted traffic to boost the sales. Despite the fact that the personal shopper service is a relatively new, this theme has become quite competitive in a short period of time. The domain age is only 7 months. This fact became an obstacle for the client, and this site was kept in Google Sandbox by Google search engine. The main keywords had no positions in the Google SERP because of the young age of the site. FYI: Google Sandbox is one of the most serious obstacles that a new website has to overcome before it gets top results in Google search engine. Google Sandbox does not allow new sites to get to Google Top. When a website becomes visible to visitors, it must show that it is a trusted web source containing unique and informative content etc. Sites, which got into the Sandbox can stay there from two weeks to a year. In other words, the primary task for promotion of such sites is a gradual and smooth link juice growth and a quality internal optimization. The client turned to us, pursuing this very purpose. 4) AutoSEO campaign was started and the link juice began to be grown. The graph shows that at the beginning of the AutoSEO trial campaign the backlinks were placed actively to raise the website visibility. Because the domain age of the website was low and the site was in the Google Sandbox, we increased the link juice gradually, and then supported the number of backlinks at the same level in order to make the website growth look organic for a search engine. On the visibility graph, you can see how the website visibility was gradually improved together with the linkbuilding. It is worth recalling that the young domain age was a very important aspect of this website promotion. It is necessary to increase the number of backlinks gradually in such cases, as a result the site growth will look organic for Google bots. After the client used AutoSEO trial package for a month, they admitted that the organic traffic to the site was increased. The strategy of the site personalshoppermadrid.pro promotion by mid-frequency keywords was approved, as the less competitive keywords that previously hadn’t had positions, got positions in the TOP, what is shown on the following graph. The client’s goal was to support existing backlinks and to optimize the site internally. Our support manager has explained that our experts can provide the website optimization within the long-term AutoSEO. 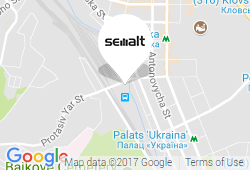 The client, in turn, decided to continue the promotion of the site with the help of Semalt and after the trial version bought the long-term AutoSEO for three months. The client was also interested in the analytics package, which was granted received as a bonus for purchasing the long-term AutoSEO. FYI:Analytics package allows you to use Website Analyzer, where you can see website errors, get tips how to correct them as well as see to what extent a site is Google-friendly. The strong point of the website was the presence of the unique text with a fair number of keywords. As the website was optimized in a proper way, our specialists corrected some issues to make it look more Google friendly. One can see from the dynamics the gradual positions’ growth and as a consequence the growth of the organic site traffic. 4) We mentioned at the beginning of the case that the most important keyword for our client was «Personal Shopper». The set of search queries was selected on the base of this keyword. Currently the balanced set of personal shopping keywords is in the top positions. AutoSEO campaign for the site http://personalshoppermadrid.pro/ is being continued successfully. This site is a vivid example that the domain age is not an obstacle with a proper promotion. Having seen the real results the Semalt gives, currently the client is negotiating with the support manager about the purchasing of a short explainer video for the home page of his site. Why an explainer video? Because for sites offering services it is the best way to reduce bounce rate and to keep potential customers on the site. Today, our promotion strategy is a creation of quality video presentation and growing of the link mass up to the moment when the site leaves Google Sandbox. If you are a webmaster or an owner of a fresh site, in which you have put a lot of efforts and money, but which has no positions in the Google SERP, you need to grow the link juice competently. Within the AutoSEO our experts will choose a proper linkbuilding strategy for your resource, as well as they will do all the necessary work on its internal optimization. According to this case, you may be sure that after the first month for only $ 0.99, even those keywords that did not have any positions, began to enter into the Google TOP 50. In such a way your young site will be ranked not betted than the old trusted ones. Moreover, it can compete with them at the decent level.